JBL has announced of two new portable speakers to further enhance its industry leading offerings. JBL's new Charge is a $150 cylindrical portable Bluetooth stereo speaker that is very much like the company's award-winning Flip speaker, albeit more ruggedized and with a much larger built-in rechargeable battery for up to 12 hours of playback. The Charge can be placed either horizontally or vertically, and features a built-in bass port, digital sound processing for room-filling lows combined with accentuated highs. 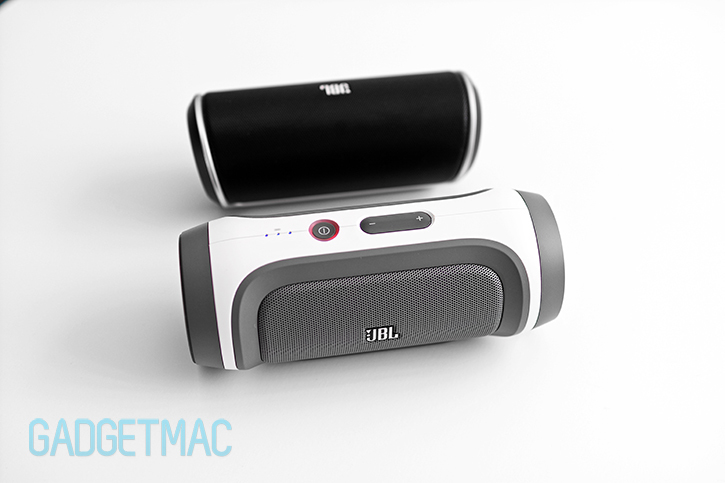 The JBL Charge is a stereo speaker with two 40mm full-range drivers and a 2 x 5-watt amplifier, same as the Flip. It will be available in several colors, including black, blue and green when it is released in the first quarter of this year. 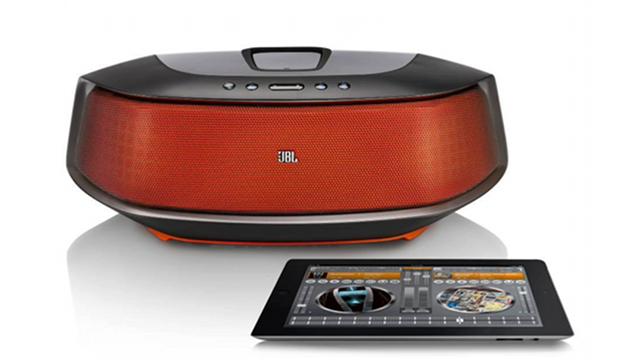 Next in line is JBL's new OnBeat Rumble, a slightly more expensive and highly versatile $400 wireless Bluetooth Lightning speaker dock made for Apple's iPhone 5, iPad mini, iPad 4 and iPod touch 5. The OnBeat Rumble's 50-watts of power, down-firing 4-1/2” subwoofer with proprietary Slipstream port technology and two 2.5” full-range drivers deliver pounding bass with low distortion, and powerful room-filling sound. JBL's OnBeat Rumble is compatible with all Bluetooth enabled audio devices, and it'll charge any of Apple's Lightning connector equipped devices while docked. The OnBeat Rumble will be available in the spring.